A unique collaboration between award-winning filmmaker Penny Woolcock and one of Britain's best loved bands, British Sea Power. 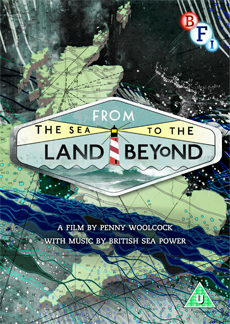 From the Sea to the Land Beyond is a unique collaboration between award-winning filmmaker Penny Woolcock and one of Britain's best loved bands, British Sea Power. is a score composed and performed by British Sea Power, a band famed for their live performances. Making the Sea and the Land Beyond (2013, 25 min): documentary with interviews with British Sea Power, Penny Woolcock and producers Mark Atkin and Heather Croall.